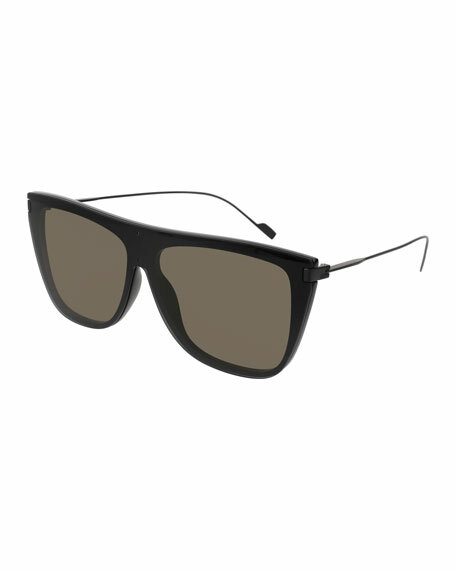 Saint Laurent flattop sunglasses with titanium frames. Slim arms with bulb tips. For in-store inquiries, use sku #2455169.